A new-generation Mazda CX-3 is already in the works and, according to Go Auto, it will be quite different to the current model. 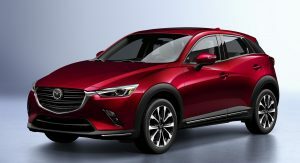 While the CX-3 has proved popular in some markets, Mazda is said to be eager to enlarge the crossover to improve its worldwide appeal. 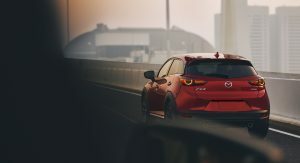 As a result, the next-generation model will no longer use the Mazda2 as its base and instead utilize the small-car platform currently used by the Mazda3. This will increase its size to something similar to the Toyota C-HR and Hyundai Kona. Crucially, the Mazda3 platform in question won’t be the one used by the current model, but instead the SkyActiv II architecture set to underpin Mazda’s new-generation compact. Not only is this platform stronger and stiffer than previous architectures, but it also incorporates new torsion beam rear suspension. 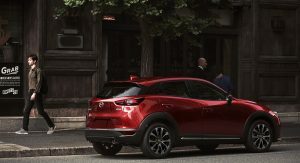 Elsewhere, the second-generation CX-3 is said to make use of Mazda’s SkyActiv-X powertrain, an advanced compression-ignition petrol engine that not only improves performance but also slashes fuel consumption by up to 30 per cent. 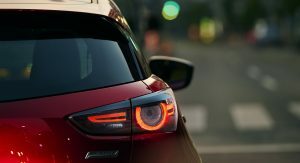 This engine will premiere in the new Mazda3 and is said to deliver approximately 187 hp and 169 lb-ft (230 Nm) of torque. 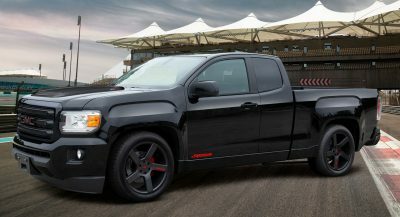 Transmission options will consist of a six-speed manual and a torque-converter automatic. While it remains to be seen exactly how much bigger the second-gen CX-3 will be, Go Auto suggests that cargo space will drastically rise from the 264 liters (69 U.S. gallons) offered by the current model. Additionally, Mazda will alter the seating design and refine the interior to improve ergonomics and acoustics. The new Mazda CX-3 is, reportedly, set to launch as early as 2020. This is needed for the CX3. I see the next CX3 being close to the original CX5 in size and the CX5 being more a 5 seat CX9 maybe leaving room for a coupe like CX7. Somewhere in this mix I would like to see a more rugged, outdoor lifestyle focused model. Obviously I think it should be a bit higher in ground clearance. Perfect slot for the CX7. I like the proportions of the current CX3. It’s a good looking little CUV. But getting bigger is obviously needed to compete in the segment. I don’t think it needs to be bigger. It is a CUV alternative for small cars like yaris, i20, jazz, etc. Not everybody needs a big trunk and rear passenger space. But it is true, that many people want bigger car, even if they don’t really use the space. The thing that CX-3 actually needs is lower price. Because price-wise, it competes with better equipped hatchbacks in Europe. So everyone just buys a hatchback, which is a little bit more dull, but they get more practicality, bigger trunk and rear space and more features for the same price. This is good. The current one has a pathetically small cargo area, which makes one wonder why…just why? The only person I know that owns one is in early 20s and lives in an urban environment so it makes sense for him. But that’s a small slice of the overall market. It is not a car for families or for country men. There are many other people that don’t need big trunk and rear passenger space. It’s not even a car for active singles or pet owner. It’s stupid small even for the class. Half the cargo space. The CX-3 has HALF the cargo space of its direct competitors, all which are essentially the same size. It completely defeats the purpose of buying a utility vehicle. Once again, Mazda knows it’s a problem, and they’re fixing it. If you like inefficient packaging so much, maybe you should be making your case with Mazda. I have a feeling they won’t be changing their minds, but please let us know how you make out. Well, cargo space is not everything. And that’s why I actually have the CX-3. Yes, the trunk is small, but I always have the shelf in the upper position (which makes the trunk even smaller) and I didn’t need more space so far. So YOU have a CX-3. Explains why you’re so defensive. News flash: the car isn’t perfect for everyone, even if it might be for you. I’m so defensive because I feel like there cannot be any variety in cars and all of them have to be as practical as possible. CX-3 is far from the most practical small crossover, but it has other advantages. For me it’s normal. If I would need a bigger trunk, I would look for something with bigger trunk. No car is perfect for everyone. I never considered CX-3 as a practical car for most of the people. In fact, almost all hatchbacks are more practical than CX-3 and they also offer better equipment for the same price. So, Mazda clearly had different priorities with CX-3. As long as they retain something similar to the current car’s razor sharp styling (it’s easily the best looking small crossover), I don’t think anyone would take issue with it becoming a larger, more spacious car. The CX-5 is not exactly gigantic either. 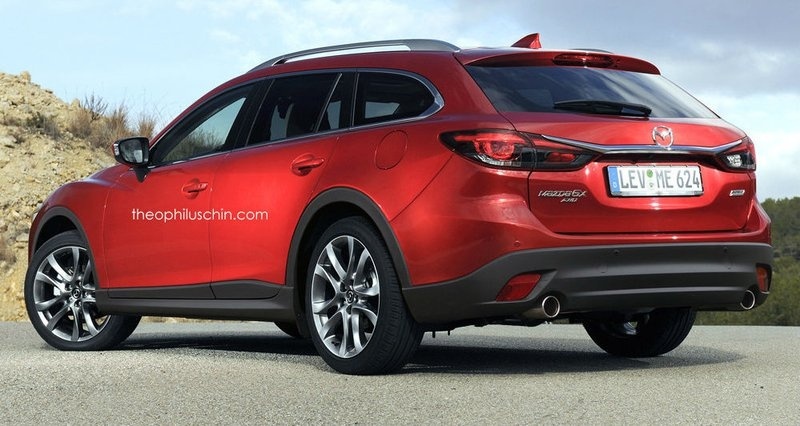 For me if you want a bigger CX-3……..get a CX-5. Duh. The CX5 is on the last half of its product cycle, the next one will be bigger as well. 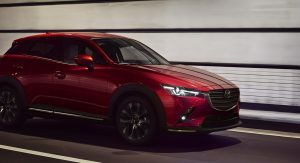 Mazda started selling latest generation of CX-5 in the middle of last year. And you say, it is already on the last half of its product cycle? 🙂 How so? The Next CX3 on sale date would be 2020 at the earliest, putting the bump-up right in line for the CX5. 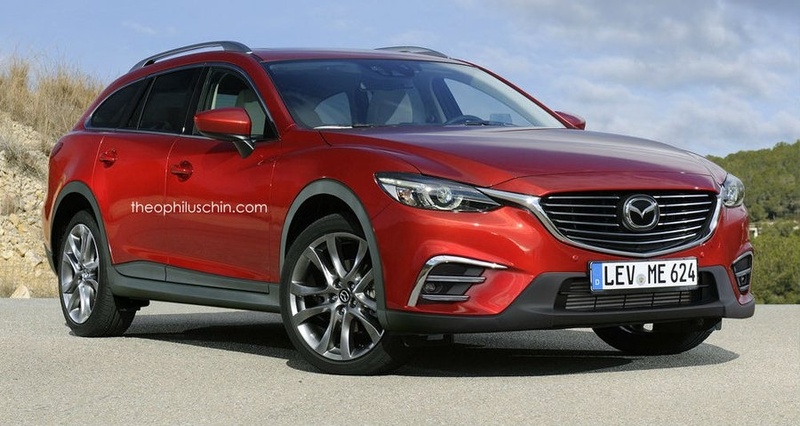 I should have stated the current CX5 will be towards the end of its product cycle in 2020 with a new one by 2022. That makes more sense. But it would be strange. If every CX model will be bigger, then what’s the point? They will eventually make CX-2 to replace CX-3. I know every manufacturer is doing this, but it does not make sense. 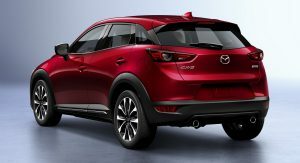 I doubt Mazda has interest in a CUV below the CX3 in the US at least. I meant when CX3 will grow, then it will be so small. So, there will be space for another small CUV. Same situation as with BMW 3,5,7 or audi 3,4,6,8. Now, they need to use smaller numbers for small models, because the original small ones grew too much. Just bring the Chinese market CX-4 overseas, problem solved. Is, I am talking future US Mazda product. Doubtful with the new platform strategy. As long as some of the profits go towards the R&D of the Mazda RX-VISION concept I can’t complain. SUV’s maybe overrated but they they are profitable, besides even if it’s an SUV it’s not as though Mazda can mess it up. Probably the brand I’d choose if I was confirmed to one car company for life. The Kona is more than 4″ shorter, and the HR-V is less than an inch longer. That’s piss-poor packaging. Cx3 has a nice long bonet 🙂 And there is a reasonable knee room in rear. Many people just want a big trunk, but they are not fully using it. It is not a car for people comparing trunk sizes. It really is not that bad (similar to other small cars, but not CUVs), you just cannot expect moving furniture, big dog or 4+ member family trips. It obvioualy is a car for 2 people without any special needs. It can alao be a family car, but it requires some sacrifices. That’s a lot of compromises for a “utility” vehicle. Mazda screwed up, and they acknowledge it. Why can’t you? It is not a utility vehicle. It’s a city crossover. And Mazda did not acknowledge anything. 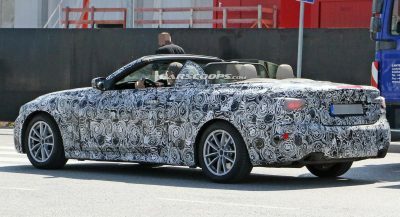 The car will have a standard full generation cycle of 5 years. And I bet, they will introduce CX-2, when CX-3 will grow a little bit. What are you carrying in your trunk? HR-V 470l – Honda is known, for one of the biggest trunks in class, so this value should not be considered as standard. So, as you can see, CX-3 is just a little bit smaller. And headroom space is actually quite the same as in CH-R or Kona. I have 180 cm and I feel ok in the back. I looked it up too. Where did you get these values? I did see the trunk of CH-R and CX-3 and they look almost the same. You can see it also on pictures. Yes, I also could see that there are strangely high numbers of cargo space for some cars (Ecosport, CHR for example). I saw the trunk of CHR, HRV, CX-3, EcoSport and Arona. Only HRV seems to be really much bigger than others. Arona also has noticeably big trunk. For CH-R 377l or around 13.3 cu ft (372 l with subwoofer) is the official number on the Toyota website in my country and it seems to be real compared to 350l / 12.4 cu ft for CX-3 (but more expensive versions with Bose sound system have only 10.2 cu ft). However, HR-V has “only” 448l/470l (probably with or without subwoofer). 662l for HR-V seems to be crazy. Octavia III Combi has a 610l cargo space indicated by manufacturer. I think you know that SUV and CUV labels are used very loosely these days, because there are so many jacked-up hatchbacks… CX-3 is just a tiny little bit higher from the ground and it has some plastic parts to make it look more rugged. That already classifies it as a CUV. I think CX-3 was intended to be a little bit more sporty and premium small crossover, but it was not premium enough and nobody cares about the sporty side. It is also a bit claustrophobic inside for big people (many americans are really big). And that is why they are going to make it bigger. For me, it is a little bit sad, when this happens, but car makers have to make a living somehow and sell as much cars as possible on all continents. It is similar to the fiat 500 and Mini. They both are growing and will be growing even more. But I still believe that CX-3 is big enough for most of the people living in cities without children. Of course, if they don’t have any special needs, like for example your business. Where are they going, and what are they buying? Umm, something priced like the CX-3 but with better packaging … HR-V, CH-R, EcoSport, Trax, etc, etc, etc. Clearly most aren’t buying the CX-3. EcoSport actually has a smaller cargo volume (333 l) and trax has only 5l more than CX-3. Not according to Edmunds, or the manufacturers themselves. Mazda’s own website, while better than Edmunds, only shows 12.4 cu ft capacity. The EcoSport’s is listed as 20.9. Particularly difficult to swallow for you since the Ford is a whopping 7″ shorter. No, I just think the website where you found these numbers is lying. I can assure you, that cargo space in CX-3 is not that small. And it is also not that big in other cars. It looks strange. Where would HR-V get 23.2 cu ft. That’s crazy. Even BMW X5 has smaller cargo space. I checked the numbers on several local european car sites. They are correct. Some of them are even measuring the volumes themselves. Usually they get a little bit smaller usable volume, but I posted the official numbers. There might be however some different measurement methodology used in US. Because the numbers are very off. Current CX3 is handsome but I agree it needs a bit more cargo space. It is not that larger than in my Mazda 2 or A1. Not saying it’s the same size as in a hatchback, but close friends of mine who have a baby got this car a while ago and when travelling it can fit 2 suitcases, a stroller and the baby bag and that’s about it. They now wish they had bought the CX5 though. Honestly, I don’t give two shits how much space it has. I do however have a problem with fanboys spreading misinformation. If you have an issue with the OFFICIAL capacity number MAZDA published on their OWN car, I suggest you take it up with them. Until I see a retraction from Mazda USA, I have no reason to question it. Accept it or don’t – I don’t care. And you should enjoy your car, and not care what I think. If it works for you, I say good for you. Noobish? Please, kid. I’ve forgotten more about cars than you’ll ever know. You just picked an argument with somebody better informed, and obviously far more objective. And yet you keep digging yourself in deeper in an attempt to save face. As for childish, what’s more childish than name-calling? First rule in debate is ‘maintain your composure’. You lost your cool way, way back. Mazda wants to go a premium route, the next CX3 needs to be slightly larger than the 2019 Mazda3 (maybe 2″ wider, same length, and about an 1″ or so greater ground clearance–72Wx173-175Lx62H), while keeping similar exterior styling to the current model. Since Mazda is such a small company, they need to maximize the invest they put into products they push and splitting the difference between mainstream/premium subcompacts will give them a better shot at selling more vehicles. 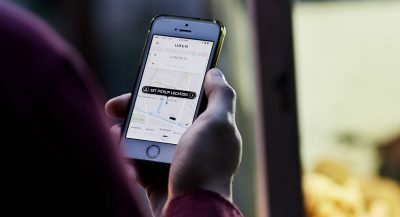 They should also set up to offering panoramic or at least larger sunroof options, which buyers are clamoring for and give a more premium feel to any vehicle.